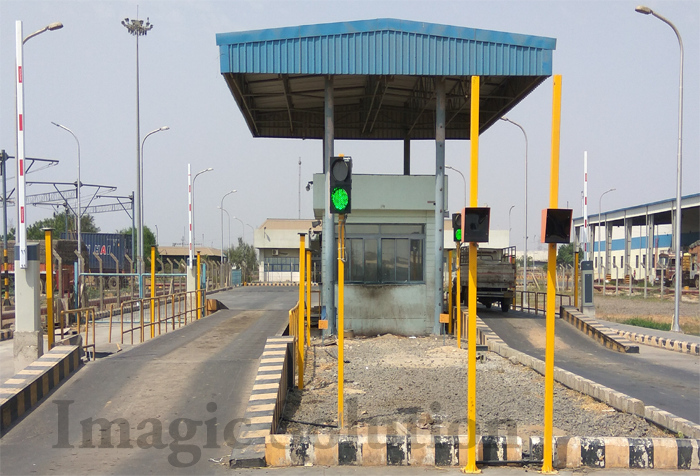 Unattended Weighbridge System, unmanned weighbridge, unmanned weighbridge system, Unmanned Weighment Software,	Barrier Security System,	automatic vehicle weighing software, weighbridge software, driver operate weighbridge system, vehicle position system, unmanned terminal system in India, ahmedabad. The Unmanned Weighbridge System is a standalone system which allows 24 hours 7 days a week weighing operations without the need of operator. Due to the system's easy interface it is totally operated by the truck driver. 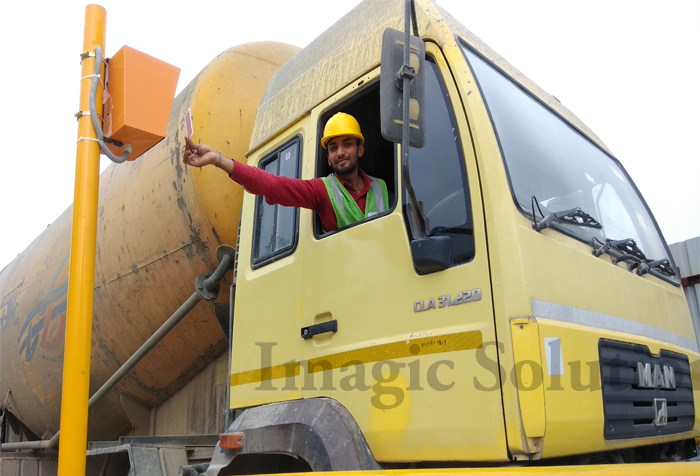 Moreover Imagic Solution custom designs the system to suit the specific requirements of your operations..
Imagic Solution Provide Two Way Weighment System on weighbridge means vehicle enter both side for weighment. also we can pre fix weighbridge for weighment if they try another weighbridge system cannot allow to weighment. 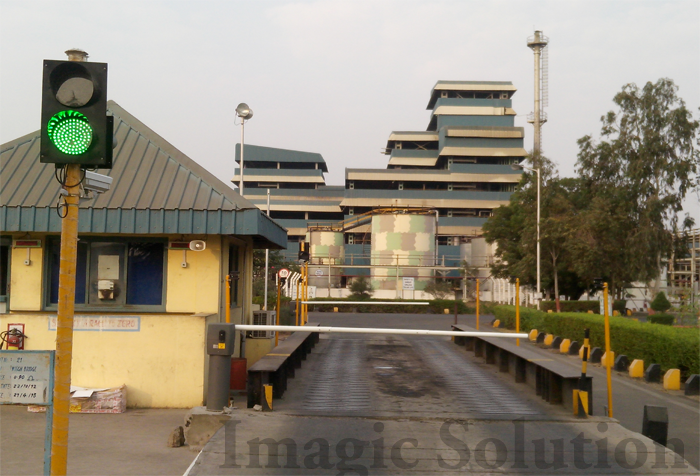 Automated Weighbridge System - Imagic Software is a intelligent solution that turns your weighbridge to a simple unattended terminal, eliminating the need of weighbridge operator. 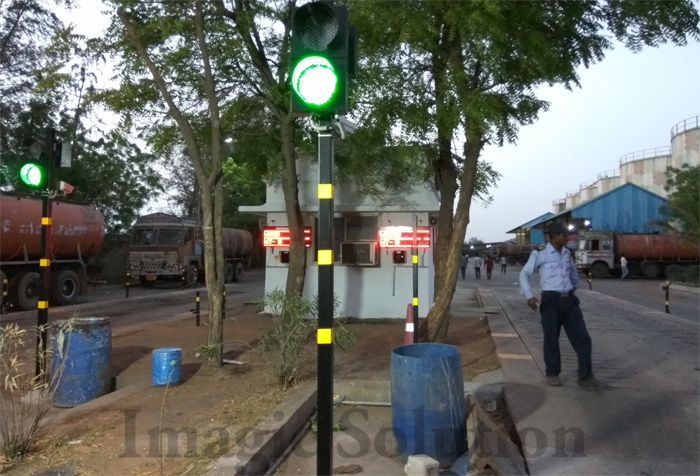 The system can be customized with many add-ons like camera plate recognition, surveillance cameras, traffic barriers, traffic lights, etc. 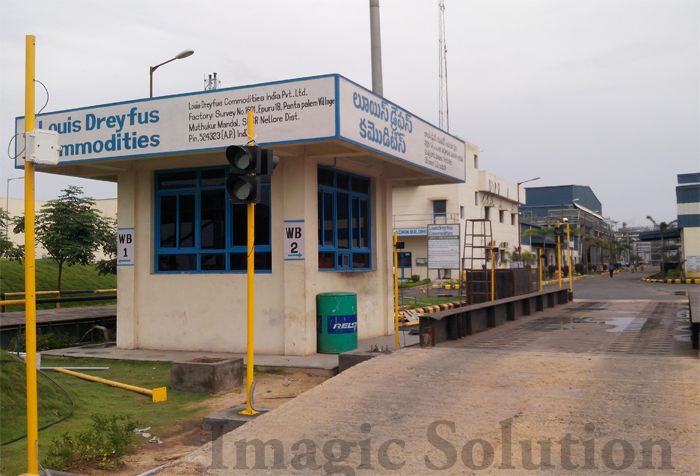 Data accuracy with pre-programmed vehicle data using RFID card readers or Touch panel with user friendly interface. Weighing Data Management Software interacting with Imagic industrial scale terminals provides instant access to critical business information such as operational analysis, billing and inventory control. Detection Loops or Photocells - to automatically detect vehicles and transfer of details. 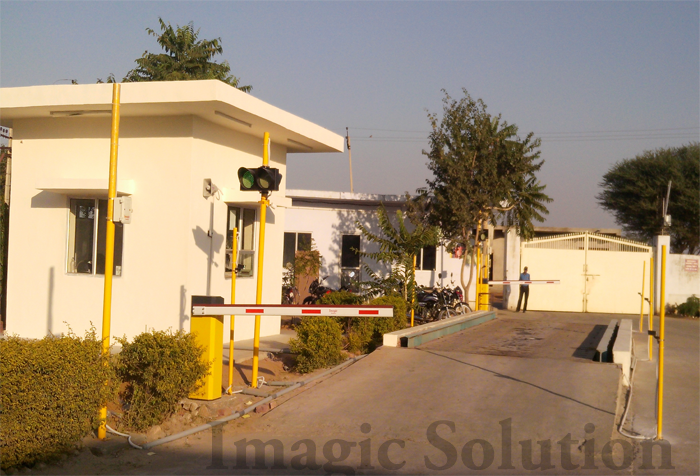 Exit & Entry Barriers - For security and arranging vehicle traffic. Truck Plate Recognition - For clear identification of vehicles and loads.